Brien Foerster and his Peruvian research on odd-shaped skulls is making the media rounds lately. Popularized by "main stream" media, the story really starts in 1928 when a Peruvian archaeologist, Julio Tello, discovered a massive graveyard filled with the remains of elongated-skull individuals. 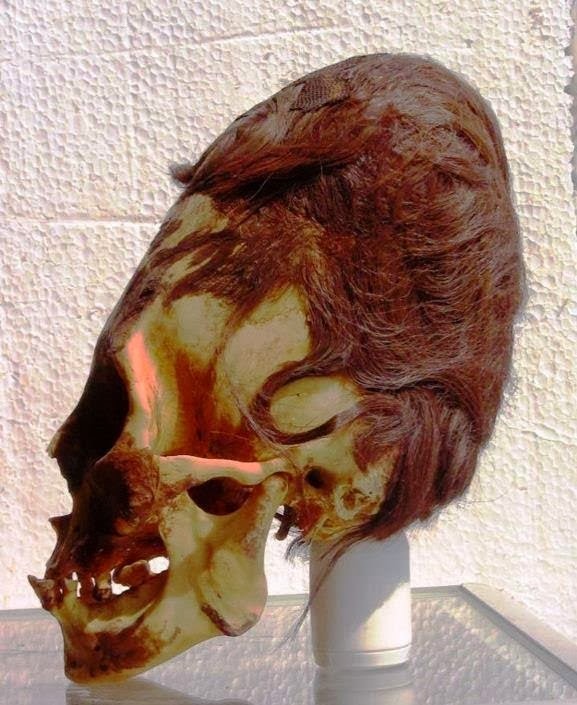 Tello found more than 300 of these elongated skulls, which are believed to date back around 3,000 years. Kirk Sigurdson reports on KultusBook.com that, "DNA Tests Reveal South American Elongated Skulls NOT Human" You can read an excerpt below followed by a link to Mr. Sigurdson's post. When elongated skulls are found (more often than you might think) anthropologists have been trained to assume that the odd shape of the skulls is due to ""cradle boarding." This horrible practice was common in a few cultures thousands of years ago. Baby's flexible heads were bound in such a way as to elongate their skulls over time as they grew and hardened permanently. Enter: The "Paracas" skulls. They are definitely elongated. Far more than King Tut's skull! The skulls were found on a desert peninsula of the south coast of Peru. This area used to be Incan. Of course, the skull find there is nothing new. In fact, the skulls are old news, although the DNA tests on a few of them are new. The problem with the DNA is that it was do e by Melba Ketchum. Story over. But I don't want to see a smart Hulk. In fact, if it was up to me, in the last scene of The Incredible Hulk, where you see Banner's eyes change, the screen should have gone to black and we hear Banner happily saying, "I've done it! I can control it!" But you hear a change in his voice and he says, "No, no I can't." And then you hear the Hulk roar and say, "Puny Banner, Hulk is strongest of all."